Frank Sargeson is considered a founder of modern New Zealand literature. From 1931 to his death in 1982 he lived in this simple house in Takapuna, where most of his short stories and novels were written. 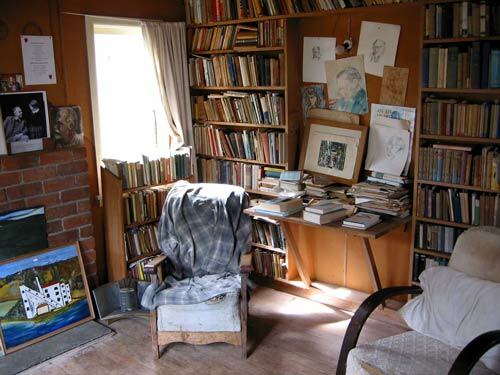 He became a mentor to a generation of New Zealand writers, many of whom (including Janet Frame) gathered at his home and spent time writing there. After his death, the Frank Sargeson Trust restored the cottage to the way it was during his lifetime – shown here is the living room. The cottage is open to the public. Thanks to the Frank Sargeson Trust for permission to use this image.